We would like to say “Thank You” to all of our customers at Minuteman Food Mart for their generous contribution during our MDA fundraiser. Because of you, we were able to raise $65,000.00 this year!! It takes a lot of money to send a child to camp each year and because of your faithfulness to give, we are able to send 32 kids to MDA camp this year. The Muscular Dystrophy Association is the world’s leading non-profit health agency dedicated to finding treatments and cures for muscular dystrophy, amyotrophic lateral sclerosis (ALS) and other neuromuscular diseases. 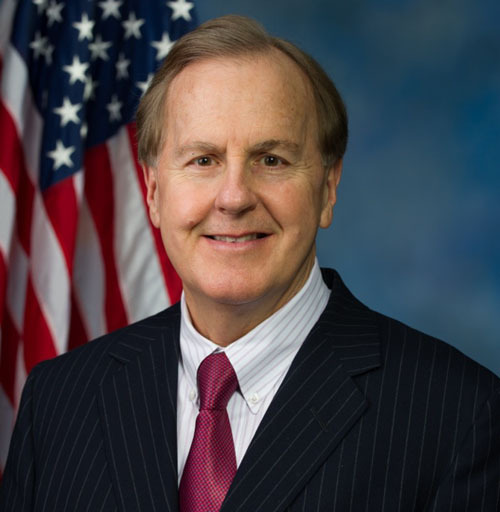 It does so by funding worldwide research; by providing comprehensive health care services and support to MDA families nationwide; and by rallying communities to fight back through advocacy, fundraising and local engagement. 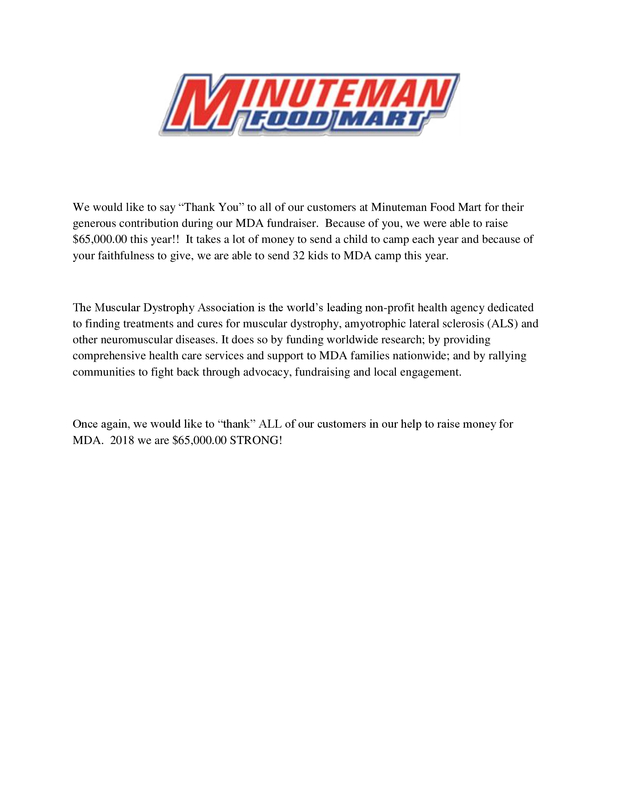 Once again, we would like to “thank” ALL of our customers in our help to raise money for MDA. 2018 we are $65,000.00 STRONG!